Jenny Anderson’s article, “Grounding the Helicopter- Parents: Let Your Kids Fail. You’ll Be Doing Them a Favor” begins with this question: Your teenager has a science project due. He hates science. He hates projects (as you do). Do you: A) Set deadlines for him, gather necessary materials, lay them out on the table with chocolate chip cookies B) Ask your neighbor, who is a renowned chemist, to stop by and wax poetic about the periodic table C) Hide and pray. The answer is C, but if answers A and B were not exaggerated (i.e. cookies and periodic tables), I am guessing that some of us might have chosen one of them. Anderson’s article, based on the findings shared in Jessica Lahey’s book, The Gift of Failure, asserts that, frequently, parents act out of love for our children because it makes us feel good to help them. But parents should be thinking more about the long term goal of making our children self-sufficient. This month’s article is a primer for our event on March 28th at 6:30pm in the Learning Commons when the author of The Gift of Failure will be here in person to speak to parents and sign books. Please put this special occasion on your calendar! I urge you to read this month’s article and to consider reading Lahey’s book, which address the concerning trend that we seem to be more worried about raising happy children than competent or autonomous ones. Young teenage girls are often plagued with the need for perfection. They are inundated with images of perfection all around them and every aspect of their world can be very intimidating. They worry about their grades, handing in perfect assignments, looking perfect, acting perfect and getting into the perfect college. Society has taught them that once they achieve all of this perfectness, they will be happy. No one likes being called a beginner; it suggests inferiority and a lack of knowledge. People feel uncertain, uncomfortable and insecure. However, having a growth mindset empowers us to see possibilities and to accept the power of the little word, “yet”. As beginners, we have the “right to feel uncertain” and to gain the confidence we deserve from the very mistakes we make on our own. It is risky to share an op-ed piece such as this one, especially as the principal of one of the most rigorous and academically challenging high schools in the area. However, I’ve been trying to set a “growth mindset” example for our students and our faculty, so I’m sharing Adam Grant’s piece from the December 11th New York Times, “What Straight A Students Get Wrong: If You Always Succeed in School, You’re Not Setting Yourself Up for Success in Life.” The article is bold and full of absolutes that make sweeping generalizations that are arguable. If I am to be honest, grit and resilience are the buzzwords I am hearing more and more in educational circles, not just in our growth mindset research. I find it intriguing that Mr. Grant claims that as many as 15% of job recruiters select against candidates with high GPAs. I guess this is a gentle reminder before exams that students need balance in their lives, and that the genuine learning (academically, socially, and emotionally) rather than memorization at exam time, should be the part of the high school experience that has the most value. Here at Holy Angels, we concur. Reframing failures as opportunities to improve is difficult to do, but necessary for teenagers’ personal and academic growth. Working longer or harder in the same fashion as we always have doesn’t necessarily make better grades or progress. The best place for students to learn about effective strategies to overcome the obstacle they face in a subject area, or other activity, is directly from the teacher or coach. 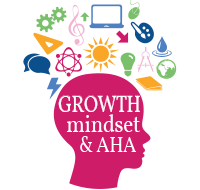 Wormington also supports what she calls “Growth Mindset Interventions” which sounds vaguely similar to the experiences we’ve shared with our students as we’ve worked through our Growth Mindset project for our Middles States Accreditation. I am hopeful that students will look back on their high school years and recognize that Holy Angels was a place that “intervened” in their ways of thinking about thinking. In case you missed it, the attached article, “Two Very Different Local Teachers with Help from 'Brutally Honest' Students Pen SAT Prep Book” appeared in our North Jersey Record on October 10th. I think they’ve beat us to the punch as I truly believe that our very own teachers and students could have written such a book! Pompton Lakes High School teachers Paul Koontz and Stephen Tarsitano have written an SAT Preparation book that completely supports our findings in our Growth Mindset study. “At its core, the book is about big-picture thinking, perseverance and developing good learning habits to unlock hidden potential. Lessons to embrace challenges and overcome failures are included.” And the authors are quick to tout the importance of good sleep. In short, practice and persistence is the key. When students are consistent in their efforts, anxiety is reduced and they are much more successful. I’ve already ordered my copy (which is currently out of stock on Amazon). Might be time to order yours too. In “High Achievers Have More Grit Than Talent,” Joan Michelson shares with Forbes readers 8 takeaways she gleaned from her interview with Angela Duckworth (author of Grit, The Power of Passion and Perseverance). The 8 suggestions are ideas we’ve been discussing since we’ve adopted growth mindset theory; however, what I found most fascinating was learning Duckworth’s background. Duckworth’s father once told her that she “was no genius.” Ironically, years later she won the prestigious MacArthur Fellowship (known in common circles as the “genius award”). She may not have been a genius or brilliant, but her success is undeniable. Perhaps the reason we so readily accept her claims is that smartest people are not always the most successful. Once again, we see how the obstacles in life are the often the impetus for our successes and the valuable part of our journey, whatever that journey may be. Surprisingly to us, many students, especially girls, do not like to ask questions or ask for help when they do not understand something. We’ve learned that there are two main reasons for this: 1. Sometimes students assume that they missed the information because they were daydreaming or off task. If they ask a question about something that was clearly covered, they will reveal their inattentiveness. 2. They are embarrassed. Everyone else around them seems to understand. Girls do not like to be perceived as needing extra help. We find this surprising because, just as Michelle Woo indicates in “If You Want to Do Better in School, Ask for Help,” students who ask questions and who ask for help are generally higher achievers. Once again, this brings us back to one of the cornerstones of Growth Mindset theory, that success is NOT the result of innate ability but the process of applying oneself to new concepts and new methods of mastering either material or skills. We hope that parents empower their daughters to ask questions and not to be ashamed to ask for help. This is a necessary skill for students to fully learn and grow during their years at Holy Angels and beyond. P.S. Be sure to read the Discussion’s “Pro Tip” at the end of the article too! Parents are all united in their desire for happiness for their children. If you were to ask your daughters what would make them happy, I wonder what their answers would be. Too often, I hear students tout goals, achievements and college acceptances as their golden ticket to happiness and this is concerning to me. Getting into a great college does not bring happiness. In fact, students can be happy at any college and the truth is, students at Harvard are no happier than students at Loyola. I believe what we truly desire is for our children to be self-sufficient, healthy and fulfilled and we’ve coined the term “happy” to include all of these ideals. But perhaps we’ve not shared this specific and true meaning of happiness with our children clearly enough. Stress and anxiety levels are on the rise. Students, and particularly females, are under tremendous amounts of pressure to excel in every aspect of their lives. They feel that they need to be smarter, prettier, more talented, more popular and ultimately, most successful. When is it enough? In her novel, Enough as She Is, Rachel Simmons examines the cause of our society’s number one rising social problem and with practical advice, advises how we can help our daughters learn self-compassion, self-care and seek support when needed. This is a pivotal book written at a critical time and is necessary reading for parents of daughters of all ages. I can tell you that it has given me serious food for thought and will be considered in my decision making moving forward. Normally I’d be sharing an article that reflects and support the Growth Mindset research we are completing for our Middle States Evaluation. This month, I am opting out of the article to share with you the news of this noteworthy book and I’m strongly urging you to add it to your summer reading list. Read with an open mind and open heart. You might feel as though this article is geared towards you, the parent. Certainly, there is helpful management suggestions in the author’s application of Growth Mindset to the workplace, but we must remember to make the parallel to our students’ lives. Yes, they are only teenagers. But they were only in 6th grade approximately 4 years ago, give or take a year, and in that same amount of time, they will be entering the workforce. Having a growth mindset is helpful to students and to adults as well. Our students will be receiving feedback from bosses very soon and soon after that, giving feedback of their own. After all, our students are the leaders of tomorrow. “The vision of a global community based on gospel values permeates life at the Academy, calling each young woman to leadership that advances justice, peace, and the integrity of creation.” These words, taken from our mission and following the tradition of our founding order, The School Sisters of Notre Dame, prove that Sister Nonna Dunphy and the women who’ve come before us set not only lofty goals, but ones that have outlasted generations and withstood the test of time. In his commentary entitled, 'The sign of a successful school isn't simply good exam results – it's the confident, well-rounded pupils they produce,' Headmaster Chris Townsend reminds us that the goal is the people schools produce, not the grades the pupils received on their exams. It is valuing hard work, learning a variety of important life skills, and developing character that matter most. In other words, learning for the sake of learning, which is the heart of the Growth Mindset concept. It seems our Foundress was ahead of her times! In educational circles, it is very difficult to talk about Growth Mindset without addressing the topic of “grit.” Any discussion of grit must address how we deal with successes and failures with the ultimate goal of having students be cognizant of their learning processes. In “Can Grit Be Taught”, Kelly Carroll asserts that when students are invested in their learning processes, their motivation increases. “Grit is not acquired when students are just seeking short term rewards.” Grades are short term rewards and do not benefit the actual learning whereas long term goals encourage deeper learning. Many parents would say that getting good grades is the stepping stone to reaching those long term goals but in actuality, as we’ve learned through our growth mindset research, focusing on the learning will result in the by-product of getting good grades. Students who persevere through difficult subjects, teachers, challenges and continue to work toward that final goal are displaying grit in their daily countenance. Determining and setting those long term, motivating kinds of goals require one to examine the “how” and the “why” in reaching those goals. I encourage parents to have the “how and why” discussions with their students during the year and not simply when report cards are distributed. Students will become grittier when they accept mistakes and failures and learn from them. In this timely article, “Adopting a Growth Mindset for the New Year”, author Dorie Blesoff notes that when individuals fail to achieve resolutions, they internalize negative personal feedback and become discouraged and disappointed in themselves. Failure can be a motivator for growth if reframed properly in our minds. Instead of thinking failure, we might consider thinking, “not yet”. Furthermore, we have the power to feel more successful in our endeavors if we set clear, reasonable and measurable goals. I leave this for you to consider as we embark on all of the possibilities this new year offers us. In this month’s mindset article "How the understanding of ‘mindset’ can impact success", author Susan Winebrenner explains that at this time of year, some student become overwhelmed. Frustrations mount and they easily give up in the face of challenges. But growing research shows that a student’s reaction, or mindset, can positively or negatively affect the future course of action, affecting her coursework, and her life. The author admits that both gifted and struggling learners struggle with self-defeating thoughts and students in both categories have the ability to affect the outcome simply by the way they frame their mistakes and frustrations. Best of all, this article includes a link to Carol Dweck’s “The Power of Yet” TEDTalk. I encourage you, as does Winebrenner, to watch the video and share with others. It offers powerful advice for everyone—students and parents alike. “Math is just not her thing.” “She’s a good student but just doesn’t test well.” “She’s not an athlete.” When I write these statements down, they seem harsh, hurtful, and detrimental. They are. Yet, I hear these and other negative statements too frequently. We know we shouldn’t do it, but somehow, we allow words like these to escape our mouths. Unfortunately, the words make their way to our daughters’ ears and they internalize the message, making the prophecy all the more truthful. The fact of the matter is that mathematics is difficult. Whoever said it should be easy? Students are most proud of the work that was most difficult for them to complete. In his U.S. News and World Report article, “Fostering a Growth Mindset is Key to Teaching STEM,” David Miller claims teachers and parents should be placing value on hard work, rather than intellect, especially in difficult STEM subjects so that our students do not lose interest in challenging STEM fields including mathematics, engineering, and physics. Embracing challenge will produce stronger graduates willing to problem solve the difficult issues of today. Every month, I offer an article based on the concepts of Growth Mindset, which is the topic of our school-wide Middle States project. However, this month, I am compelled to share an article on the effects of cell phone and social media use in teenagers that is too important for parents to ignore. In her article, “Have Smartphones Destroyed a Generation?" Jean M. Twenge asserts that while there are some benefits to being “connected,” the overall collateral damage is not worth the connectedness. Twenge claims a deterioration in teen’s mental health is traceable to cell phone usage. I concur. Depression and anxiety is on the rise and psychologists believe that much of it is connected to cell phone and social media usage and more specifically, to screen usage by girls. Teenagers are reporting “feeling lonely” even though they are connected to more people than ever before. They are also losing sleep because of the glow from their screens. It has been my experience in recent years that, in general, I am seeing a correlation between poor grades, poor study habits, and excessive cell phone usage. The most successful students use their phones the least. In fact, I know many successful students who don’t have any social media accounts. The article is timely and important, and I urge you to take the time to read it. If I had one suggestion for families, it would be to have a centrally located charging station, where all family members are required to charge their phones for the evening by 10:00 p.m. It won’t cure every issue that cell phones cause, but will help you put a limit on addictive and unhealthy phone usage. Many years ago when I was in high school, if I did not do well on a test, my father made me study for a longer period of time for subsequent tests in the same subject. Most often, the results were much the same, thus proving that more of what is not working, still doesn’t work. It wasn’t until I was in college that I learned how to study smarter. Through trial and error, I learned what worked best for me, which was acting like I was teaching the material to someone else. At times, this even included full theatrical antics in my dorm room. Odd? Perhaps, but it worked. I did not acquire my new study skills overnight. In fact, I met with error and failure many times before I figured out what I really needed to do. I probably could have saved myself a lot of stress, disappointment, struggle, and strife had I read the Sue Shellenbarger’s attached article, “Before You Study, Ask for Help.” Shellenbarger offers sound advice and, in Growth Mindset fashion, addresses the need for students to actively take charge of their learning strategies rather than rely on the traditional, somewhat passive style of rereading the text and highlighting notes, essentially reframing what most of us have relied on for years. This is a fitting article for the start of the school year. Normally, I’d be recommending a current article highlighting recent trends in Growth Mindset theory. This time, however, I have a larger “assignment” for parents. We can call it summer reading! Teasing aside, I am recommending Jessica Lahey’s The Gift of Failure, because of its timeliness and because it addresses student resiliency, an issue educators are dealing with more and more each year. I originally purchased this book because of the growing number of students I see struggling with anxiety and fear. Ironically, I see this in some of our highest achieving students, who, at times, grapple the most with insecurity, lack of motivation, and depression. Lahey seems to do a lot of finger wagging at parents, but if you can get past her reprimands, there is some good advice sprinkled throughout the book. While Lahey’s mission is not to promote Growth Mindset, she certainly supports it and uses its pillars in working with students and parents. In their article, “Learning and Performance Zones in Sports,” authors Jeremy Frith and Eduardo Briceño apply the concepts of growth mindset to athletics, specifically to practices (learning zones) and events (performance zones). In short, if the “learning zone” is effective and the athlete is trained to learn and grow during practices, then improved performance will naturally occur during the sporting event (performance zone). While geared to athletics, the lesson is clear and consistent with what we continually report here at Holy Angels: Focus on the learning, not the grade, and the scores will improve. When students focus on the score/grade, rather than mastering the concepts, they will come up short. Briceño claims that most of us, while desiring to do our best, spend too much time in the performance zone. Ironically, this “hinders our growth and ultimately, our performance.” This article has an added bonus of the author’s TED Talk on “How to Get Better at the Things We Care Most About.” The lesson is particularly timely as students are nearing the end of the school year and worrying about finals. We all make mistakes. How we respond to them is what makes all the difference in the world. The following study proves that students with a growth mindset use brain power to examine the mistake and internalize ways to avoid that mistake in the future. Students with fixed mindsets are more likely to simply focus on the fact that they’ve made a mistake. One of the best strategies for improvement is to ask teachers to help students review a previously taken test with them. This way, students can see what they did wrong and teachers can note trends or patterns in the choices the student makes on the test. This is not the first article I’ve shared with parents that recognizes the growing trend of perfectionism in young girls. However, in The New York Times article “Why Girls Don’t Think They are Smart Enough,” authors Cimpian and Leslie cite the power of Carol Dwek’s “learning and effort” over the idea of innate ability. Apparently, the power of the growth mindset can diminish classic stereotyping and boost confidence in girls. The research focuses on young girls but it is a trend we are seeing on the high school level. The authors also assert that exposure to positive female role models may be one of the best ways of “convincing little girls that they are, in fact, smart enough” thus reflecting the lessons young ladies learn everyday here at Holy Angels and a perfect topic for discussion during Catholic Schools Week. The beginning of the New Year is the classic time for people to commit to making changes. For this reason, this month, in lieu of the typical growth mindset article I’d be sharing with you, I am sharing Pope Francis’ suggestions for New Year’s resolutions. Granted, they are from 2014, however they are timeless. Pope Francis reminds us that “The Christian sings with joy, and walks, and carries this joy.” He reminds us this joy "should translate to love of neighbor.” If we are humble, I am sure we can find something here that speaks to each one of us. In the spirit of love and growth, I offer the Pope’s resolutions. Last week, one of our recent graduates stopped in to visit. She was quick to tell me that Holy Angels prepared her well for college. She said that at her graduation party, an older cousin gave her advice on surviving college: “pick one: sleep, social life or grades.” She was happy to report that, because of her experiences at Holy Angels, she felt that she did not have to “pick one” and that she was thriving in all areas of her life. This was not the first time I’ve heard the negative phrase, nor the positive response of one of our alumna. So it was fitting to come across this article, one of a series of three, which offers advice to students heading to college. I like Jasmine Yamanaka’s advice in this article. She advocates that students think about their final goals and assess if the way in which they are spending their time will help them reach that final outcome. It is great advice. More importantly, she highlights growth mindset as a life skill, rather than an educational skill that simply culminates in higher academic grades. Here at Holy Angels, we are known for academics, however, it is not our goal to produce cookie cutter success stories. It is our hope that each student will find her own unique gift and then figure out a way to share that gift for the betterment of others, for isn’t it in giving we receive?~A wonderful reminder to stay focused on our priorities, especially at this time of year. “Many of life’s big moments require bravery” claims Christen Forbes. Indeed they do! But what if we’ve silently been training our daughter’s to live “safely”? Building strong, confident, resilient and brave young women demands that we teach them to nix perfectionism, aim for progress and strive for individuality. Our students’ successes rely on their emotional health as much as their academic prowess. This idea of perfectionism is debilitating and is cause for concern and conversation as this article beautifully summarizes. Students receive mixed messages regarding their academic performance from various sources, including peers, parents, teachers and counselors. While every constituent wishes only the best for the student, the student is left with an overwhelming feeling of pressure, dissatisfaction and need for perfection. In his article, “Too Smart to Fail”, Joseph Holtgreive demonstrates how a true love of learning is the quintessential ingredient for academic success and asserts that if one focuses on the learning, the grades will follow, something we’ve been saying at Holy Angels for a few years. The context for Holtgreive’s assertions come from his experiences as a Dean in Northwestern but make no mistakes; we’ve seen the same circumstances and results right here with our own Angels. I encourage you to read this month’s article and then consider ways in which you might foster a joy of learning in your own homes as we continue to work towards that goal in school as well. Read Too Smart to Fail? The language we use can sometimes hinder the growth of our students. I have thought to myself on many occasions, "I am just not mathematically inclined." Now I see that I've predetermined my weaknesses instead of appreciating the struggle, and I've seen this with many students as well. And proof that the brain, our greatest muscle, can grow and shrink? Very interesting indeed. I hope you enjoy this month's article. On May 1 your senior daughter will make a momentous decision in her life: where to deposit for college. The article below provides a framework in which that decision should occur. Wherever she decides, please share this article with her and let her know that the really important thing in her life can be attained at any college in which she feels at home. It also applies to those who are in process of planning for college. As always, please feel free to Comment or to pass on to others. This month, as I work with the freshman class on Growth Mindset, I am asking them what is their greatest challenge to learning at Holy Angels. The universal answer is not surprising: remaining focused! Of course, the great distractor is technology. They are doing their homework and take a 15 minute break that turns into two hours on YouTube. Their cell phones ding that yet another text message has arrived. In the classroom, the temptation to check their email prevents them from hearing what their teachers or peers are saying. We know that to be prepared for the future we must learn how to balanced technology with being present to the moment and the task at hand. This month’s article details those struggles and would make a great jumping off place for a conversation with your Angel. Please feel free to email me with your thoughts or comments. The second talks about service. What does a college want to see in a young person in terms of service? It turns out that they want to see something very like the Holy Angels approach to service, an activity that is done because the student has made a deep commitment to helping that group, that cause, that facility. The desire to make a difference in the world, to be selfless not self-centered is key. “College Admission 2.0: Service Over Self” is a must read. As always, please feel free to forward these articles to any family looking into the college admissions process or anyone interested in learning more about Growth Mindset. Read "A College Essay is not a Selfie"
Read "College Admission 2.0: Service Over Self"
As we approach midterms, I offer two items that may be useful in helping your Angel to overcome the challenges they entail. The first is a delightful video clip created by Benedict Carey, the education reporter for the New York Times. In it, he shares the latest research from neuroscience on how a student should study. It has several surprising findings in it. The second article, also from the Times, presents the positive side of testing along with the most productive attitudes that students can adopt toward these stressful situations. As you can see from the title, it promises benefits we could all use. I hope you will read, watch and share these insights with your family. Throughout the month of December I will be working with the class of 2019 in small groups, teaching them the most effective techniques to prepare for comprehensive midterm exams. In mid- November, Holy Angels offered a workshop entitled, Parenting from a Growth Mindset. That presentation is being shared with all of you via the link below in the hopes that it will assist you in strengthening the skills you need to communicate with your Angel. Many parents in attendance were also pleased to share their own strategies, and those have been included here in a separate attachment. Collective wisdom is the best! We know it takes a village. Please let me know if you have any comments or feedback to share. You may be faced with a discouraged Angel at home right now because she has received a Mid Quarter report detailing areas in which she needs to improve. The article for this month talks about how to approach that very situation. I hope all Holy Angels parents will find it useful in talking to their daughters. I also invite parents to attend the November 16 workshop on Parenting from a Growth Mindset in the Learning Commons at 7pm. As always, please email me with any comments. After a long summer, we all need a refresher course in what we learned last year. For those parents and angels who are familiar with growth Mindset theory, the article that follows will feel like an old friend. For those parents that have not read Dr. Carol Dweck’s book Mindset: the New Psychology of Success, this article serves as a succinct introduction to the theory that has become such an important part of a Holy Angels education. Please feel free to pass it along to others who may be interested. As always, I welcome your comments and feedback. We welcome the arrival of this academic year of celebration at Holy Angels. As we enter our second year of instructing students in Growth Mindset theory, I thought this article by Thom Markham would serve as a good entry point into Growth Mindset theory for those unfamiliar with it, as well as those who might need a refresher to clear out the summer cobwebs. While Dr. Markham addresses the topic from the perspective of the Placebo Effect, we know that neuroscience supports the physical changes in the brain that occur when positive messages are communicated and then internalized by the student. Please consider reading this article with your Angel and pass it along to anyone who might benefit. As always, I welcome your comments and reactions. We all have hopes and dreams for our children. We want to keep them safe, to see them succeed. How we communicate those dreams and desires is what can make the difference in how our children live out their lives and relate to the wisdom figures that seek to guide them. In this powerful article from the New York Times you will read how one community desperate for answers is confronting the problem of the unspoken or overt messages we communicate to those we love most. It is not surprising that this article prompted strong pushback from parents who found the approach unrealistic. Can we be tough minded, yet phrase the message in such a way as it empowers instead of deflating our children? Using Growth Mindset at Holy Angels has convinced us that we can. Last month we challenged the Class of 2018 to sit down with their parents and talk to them about the Growth Mindset Theory. After watching a video clip about it they each took a quiz that measured attitudes towards learning. They recorded the results for me and found the assignment so worthwhile that I thought our entire community might benefit from the same discussion. A short pdf file explaining the theory is followed by a quiz that you can take to measure your own mindset. The scoring guide follows it. Feel free to share the results with your Angel. As always, I welcome your comments and suggestions. With the best ever registration in Holy Angels history, it is time to consider the reasons why a Holy Angels education is attractive to families. I would like to think that our efforts to create and sustain a Growth Mindset in our student body (in particular the class of 2018 has played a part in this success). This month’s article, The Three Most Important Questions You Can Ask Your Teenager» suggests what can happen when students without a Growth Mindset have as their goal gaining admission to an elite college. When parents and students focus on the outcome instead of the process, they lose sight of the real reason for learning, service and participation in activities. Students who obsess over grades can become confused, discouraged and despondent about the reason for all their hard work, and if the outcome is not what they expected, the letdown can be very hard, indeed. Please take the time to read this article, discuss it with your daughters, share it with your friends, and, as always, email me your thought and comments. P.S. Parents of 9th graders will have the opportunity for dialogue with their daughters when the freshmen come home this month with a lesson plan that surfaces these very important questions. The end of a semester is an excellent time for students to reflect on what they have learned, and where they want to go next. Goal setting, far from a frivolous exercise, can be a powerful motivator, if done for the right reason. The below article in our continuing series on growth mindset addresses the issue and will help you talk to your angel about the proper context of her semester report card. Reflect on the learning. Is the grade the goal or the guidepost? Please contact me with comments or questions about this or any of the other articles that we have shared this academic year. This month’s article recalls the title of a famous western novel and movie, “True Grit.” Grit is defined as dogged perseverance in the face of obstacles. With mid-term exams fast approaching, your Angel may need to dig deep to find this characteristic in herself. The concept of grit as a component of academic success has been studied for several years by psychologist Dr. Angela Duckworth. She even created a scale for use in measuring one’s grit. Click on this article for additional insight into this concept of "Grit"» You can see how you measure up on the grit scale by clicking here» You can help your daughter to succeed by urging her to focus on her long-term goal and the need to keep working incrementally until the goal is met. Remember, it is only failure if you quit trying; until then it is learning. I wish all our Angels the best as they prepare themselves for this challenge. Dr. Angela Duckworth's TED talk below is also worth reviewing. With Midterms approaching, teachers will be preparing study guides and test outlines for students to use during the Christmas break. This two week hiatus is a great time to prepare for the comprehensive exams. For our ninth graders these exams may be the first ones they have ever taken that requires them to work with such a large volume of material. Knowing HOW to prepare for these tests is vital. Students who pull all-nighters deprive their brains of the much needed time to integrate what they are studying. Likewise, students who “read over” their notes many times may find that they do not know how to answer analytical questions. They mistake familiarity with learning! The following article presents the best strategies for studying currently available to us. They are based on neuroscience and may surprise you! Please feel free to share with your Angels, your family or friends. This month’s Growth Mindset article takes us deeper into the concept of resilience. Life comes replete with struggle. A rigorous college preparatory curriculum can present challenges to students who previously sailed through their lessons. How can you as a parent help your daughter bounce back after disappointments? How can you communicate with her in a way that fosters a growth mindset? This article from Better Homes and Gardens describes a communication technique the author calls “flipping the script.” The scenarios included will be familiar to you. What may be new is how your response can be reframed to achieve a positive result. Your thoughts and comments would be most welcome as we continue to explore this this theory. Your daughters continue to be a source of pride and wonderment to all of us at Holy Angels. We know that their success is the product of hard work and determination. But sometimes when setbacks occur they can be very hard on themselves and instead of seeking help they internalize a sense of failure and powerlessness. 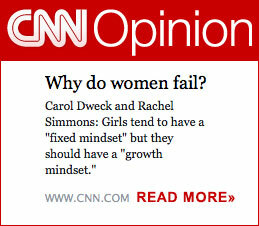 This CNN article is the first in a new series on the theory of Growth Mindset. Throughout the year we will explore how this set of beliefs, this attitude can have a dramatic impact on how your daughters learn; how much they enjoy school, and how they can remain healthy, optimistic and less stressed. Please share it with your family and friends. I look forward to your comments.